Ah yes, the FCC, outing another phone and destroying all sorts of secrets. The HTC PC10100, as it is referred to, passed today with 802.11n WiFi, AWS and HSPA+, which makes it almost a sure thing that it is T-Mobile bound. Chances are, this is the G2 that we are all expecting (just another month or so! ), but it could always be something else. Enough teasing, let’s get to the real leaks please. Leave your thoughts in the comments! Great…. we’re getting closer and closer G2. keep quiet testament! this is a windows phone 7 device. i know i develop apps for windows and now phone 7. What apps have you developed and are in the works? Any developer would be proud to say what apps are his. In case someone were to donate money for the cause. well if this is the G2 then there is a spec no one has mentioned. draft N. I am really pulling for all the stuff we have heard up to this point is prototype info. There’s no need to call it draft N. N has been standardize by ieee committee (They officially certify all 802.11 specs.) I hope they don’t pull an epic and change specs at the last minute. I would be stupid. And they are advertising their HSPA+ or faster speeds here in Kansas City… I’ve got more than a hand full of friends that also have TMO and they know nothing about the speeds unless I tell em about it. And ultimately what I’m getting at is that they need to push it as strongly as they pushed the Add a line for 5 bucks or as VZW does the DROID. I mean we literally have the fastest real world data speeds available. Ugh, that looks awful! No colors, the form is too rigid, no buttons either? How will this work? Fail. I am so underwhelmed by the G2, the keyboard is so bad. Out of all the phones I’ve seen the G1 keyboard layout is still the best. nope.. TP2 is the best.. the G1 keyboard lighting was poor and the keys was not “raised” enough like the TP2 that I use.. but the G2 keyboard keys is raised enough just like the TP2.. sux that there’s no dedicated number row.. but i guess i can get used to it until that comes (hopefully). I disagree the TP2 spacing isn’t as good as G1 the light is meh, but over the TP2 was a dumb and unless phone until you put android on it. WTF?? No button or way to turn on device? HAVE YOU EVER USED IT??? It is at top left of screen, just so you know as I LMAO!!! I have had my Curve8900 and I’m yearning for a phone that HAS android, good ANDROID, but also UI Sense. The 3G Slide to much for a kid, where’s the Tmobile powerhouse that so many Tmo customers are waiting for. Come on Tmo do a good job with the Advertisement, take lessons from Verizon. It’s a tad early to be talking about the keyboard being bad isn’t it? The device hasn’t even released yet lol. I think the G2 looks to be leaps and bounds beyond the G1 in specs and appearance. I mean, everyone’s entitled to their opinion, and if you’re saying the keyboard LOOKS bad, then so be it… I’m just saying it’s a bit premature to suggest that it functions poorly or has subpar ergonomics or something lol. I’m looking forward to the G2. My only concern is that my contract is up in like, 3 weeks,and I really don’t want to be assed out on getting a new phone because the G2 doesn’t release for another few weeks after that point. As far as the keyboard goes, I think I will live. the 5th row dedicated to numbers is very nice about the G1, but honestly, I hardly type numbers, so that’s kinda whatever to me. The thing that I’m personally bummed about is lack of a front facing camera. But again, that’s a minor point of contention. Why would you renew until you could get a new phone? i think you meant to ask why wouldn’t i renew? its not that i wouldn’t, its just that i really want the G2, but i don’t want to renew my contract, and because i did so, i screwed myself on getting the upgrade price for the G2. if i could pre-order it at the time i renew my contract and get the upgrade price on the pre-order, ill be happy. if not, ill have some decisions to make. I believe what Rilesman is saying is that you don’t have to renew your contract right away. You can just wait until the G2 is out and then renew it then to get the discount on the phone. Just keep your contract going for 10 dollars a month until you deceide to renew, just becasue your contract is up doesnt mean you have to renew, call customer service. What’s the big deal with almost 4G speed when Tmobile cant even get 3G right. I am most of the time on 2 G. and I live in a big metroolitan city. So I am not in a rush for the so call 4G speed!!!! Yep, I stay on edge. 3g is spotty at best. I agree.. Here in Jacksonville even 3G is hit or miss, and we are supposed to have HSPA+.. The New CEO is all about coverage and is really going to push to make that a company focus. Will it amount to anything? who knows is it to late? again who knows. I passed on the vibrant. But it wasn’t because of any upcoming phone, I didn’t get the vibrant because of touchwiz. I played with the vibrant in store and the screen is beautiful, but I’m a stock android kinda guy. A lot of phones and a lot of reasons for choosing the phones that we choose. If the new focus for T-Mobile is coverage. I’m very happy for the future. I really do not get everyones whining. At first, when everyone wanted a replacement for their G1 they asked for snapdragon, bigger screen and a keyboard. Now the same people that asked for that is crying because the keyboard doesn’t have the 5 rows, screen isn’t big enough, and it is not a dual core processor. All this whining and the official specs are not even out yet and no one here has tried out the keyboard.The MT3G Slide came out and everyone complained about the keyboard as well without trying it first, but when given the chance to test it a lot of people loved it. I personally think the G2 looks sleek,I really like the look of it. I’m not a G1 owner because to me the G1 was a UGLY, BULKY, and PLAN looking phone. So to me the G2 is a major upgrade from what the G1 is. I cant wait to test one out and hopefully get one. well just sharing my two cents. Where were you in the great PC battles about 8 years ago? This is the exact same thing..you’re afraid to buy now because you know it’ll be obsolete within the year. Add two year contracts into the mix and you end up with the waiting game of death. I went with the nexus 1 off contract to replace my G1 about 4 months ago, and now I will bide my time until something slays the N1. The G2, barring some unannounced feature, isn’t the one to do it. I know I shouldn’t say this but I know somebody is thinking it but trying to not get their hopes up ah but what the hay, I’ll say it anyway. Fake! That picture is totally shopped! I can tell by the pixels. I should know, I’ve done a lot of shops in my time. um…. I have no idea what the picture is saying…. Lol. I’m totally n00b. 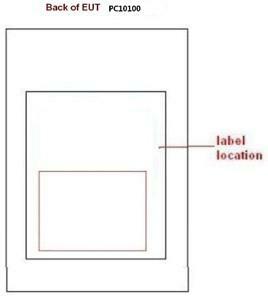 Well, there is a big rectangle, then inside that is a smaller rectangle. Then, see that smallest rectangle? It’s there, too. I understand how difficult this can be at first. You’ll catch on! What about that superphone the ‘sidekick twist’ that everybody was talking about 3 months ago!?!? if you are a FULL QWERTY keyboard lover, you are a dork and little social life. 2nd of all; I GARANTEE YOU, you will love the all-digital screens… WHY DO THEY KEEP MAKING SLIDE phones??? THEY BREAK; thats why!!! more money for BIG BUSINESS!! JUNK!!!! the G2 is JANK! I’ve had my G1 ever since launch and it I have had no issues with the sliding mechanism. I don’t think you know what you’re talking about. haaaaa! Learn to speak ENGLISH if you intend to post on a forum and not be laughed at. how long did it take after vibrant got the FCC approval for it to be released? should give us a good sense of timeline for the wait maybe?? I’m interested to see how t-mobile and google have customized this device. As long as they keep the native tethering in there ill be happy, lets see if Tmo goes the AT&T way and start crippling devices. hey, that would imply that TMO doesn’t currently cripple phones. Great,Sprint and AT&T now have 3 FFC phones and TMO and Verizon has none.Verizon is still holding their own though so they don’t need it as bad as TMO..Who will release FFC phone first..Verizon or the lagging TMO?? T-Mobile’s Nokia E73 has a front-facing camera. so technically, they have one. it works with fring and everything. it’s a pretty lame phone, though. how come when i go to fcc.gov and try every search option i can’t find any sign of this existing? ok nm..here are all the fcc docs we can access about the device. cant decide between this ,and the vibrant!. anyway speaking off subject, what happened to the website gadgetblips?,anyone know?. it gave me heads-up on the latest phone news,it was my second best phone news site after this one. Guys, the vibrant is HSPA capable, not HSPA+. All we need now is a price for this gem and we can plan or not plan to be first in line. Sidenote: By allowing such trashy, poor language on the site, it really does make it less attractive to visit and read comments and it so unprofessional and detrimental to TMo’s reputation. Rectangles are so last summer. I want a circular phone. Or how about a t? You could put a crap ton o’ peripherals on a t. Handy for subliminal marketing as well.